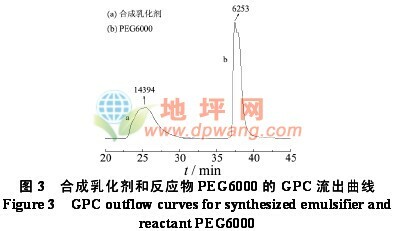 PAN G R, WU L M, ZHANG Z Q, et al. Synthesis and characterization ofepoxy–acrylate composite latex [J]. Journal of Applied Polymer Science,2002, 83 (8): 1736-1743. SUNG P H, LIN C Y. Polysiloxane modified epoxy polymer network—II.Dynamic mechanical behavior of multicomponent graft-IPNs (epoxy/polysiloxane/polypropylene glycol) [J]. European Polymer Journal, 1997,33 (3): 231-233. ZHANG Z Y, HUANG Y H, LIAO B, et al. 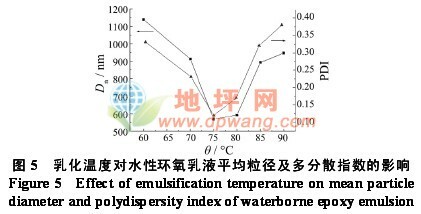 Studies of waterborneemulsion of chemically modified epoxy resin [J]. Polymers for AdvancedTechnologies, 2004, 15 (1/2): 26-29. BRIAND R, DUNCAN J A, FLORIOT Y, et al. 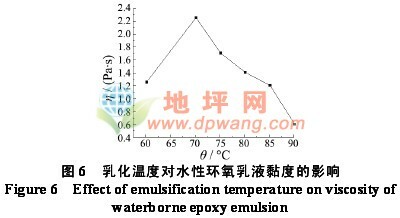 Two-part waterborne epoxycoating composition and method: US, 2007/0224362 [P]. 2007–09–27. ALMEIDA E, SANTOS D, FRAGATA F, et al. Anticorrosive painting fora wide spectrum of marine atmospheres: Environmental-friendly versustraditional paint systems [J]. Progress in Organic Coatings, 2006, 57 (1): 11-22. WEGMANN A. 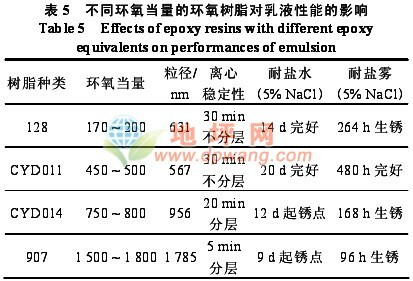 Novel waterborne epoxy resin emulsion [J]. Journal ofCoatings Technology, 1993, 65 (827): 27-34. KOJIMA S, WATANABE Y. Development of high performance waterbornecoatings. 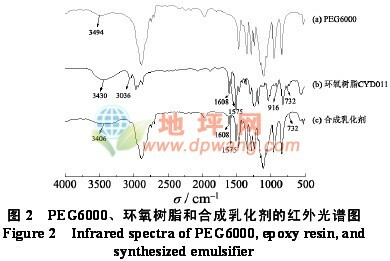 Part 1: Emulsification of epoxy resin [J]. Polymer Engineering &Science, 1993, 33 (5): 253-259. SOUCEK M D, TENG G H, WU S B. Cycloaliphatic epoxide crosslinkablecore-shell latexes: A new strategy for waterborne epoxide coatings [J].Journal of Coatings Technology, 2001, 73 (921): 117-125. YANG Z Z, XU Y Z, WANG S J, et al. Preparation of waterborneultrafine particles of epoxy resin by phase inversion technique [J]. ChineseJournal of Polymer Science, 1997, 15 (1): 92-96. 施雪珍, 陈铤, 顾国芳. 相反转法制备水性环氧乳液[J]. 涂料工业,2002, 32 (7): 18-20. 王进, 杜宗良, 李瑞霞, 等. 环氧树脂水基分散体系的相反转乳化[J].功能高分子学报, 2000, 13 (2): 141-144. 陈永, 杨树, 袁金芳, 等. 非离子型水性环氧树脂乳化剂的合成及特性研究[J]. 应用化工, 2006, 35 (10): 785-788. BIRNBRICH P, THOMAS H J, SABBADINI G, et al. 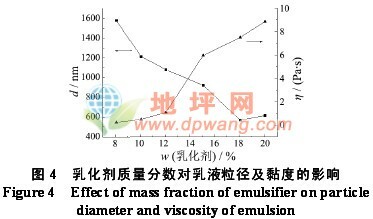 Emulsifiers forepoxy resins: US, 2009/0253860 [P]. 2009–10–08. 杨振忠, 许元泽, 赵得禄, 等. 制备高分子水基微粒体系的相反转技术[J].高分子学报, 1998 (3): 78-82. 吕睿, 张洪涛. 窄分散大粒径交联聚苯乙烯功能微球的合成研究[J].功能高分子学报, 2003, 16 (1): 54-58.